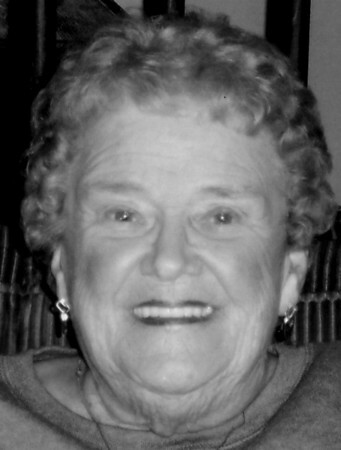 On Monday, Sept. 3, 2018, we lost with unmeasurable love Dolores (Rittner) Dyer, 88, of East Berlin. She was born in New Britain, on Feb. 21, 1930, to Fred and Mary (Salak) Rittner. A graduate of New Britain High School, Class of 1947, Dolores was a police matron and crossing guard for the town of Berlin for 30 years, retiring in 2006. She was a member of Sacred Heart Church in East Berlin. She will surely be remembered for her off-color jokes, quick wit, and the surprise of what she would say next. She was the life of the party and had everyone in stitches with her gift of humor. You cannot think of her and not smile. She enjoyed camping at the boatyard and going to tag sales with friends. Dolores leaves her husband of 67 years, Floyd Dyer, a daughter, Judy (Dyer) and her husband, Sam Laperuta of Berlin, two sons, David Dyer and his wife, Dori of East Berlin, and Jeffrey Dyer also of East Berlin, two grandsons, Jonathan and Joshua Dyer, two brothers, Frederick Rittner of Boothbay Harbor, Maine, and Edward Rittner and his wife, Diane of Burlington, several nieces and nephews. Dolores was predeceased by a brother, Robert Rittner. Funeral services are Friday at 10 a.m. at Carlson Funeral Home, 45 Franklin Square, New Britain. Calling hours are Friday morning from 9 a.m. until the time of the service at the funeral home. Burial will follow in Wilcox Cemetery. In lieu of flowers, donations may be made to the Berlin Police K9 Unit, 240 Kensington Road, Kensington, CT 06037, or to a charity of the donor's choice. Please share a memory or note of sympathy at carlsonfuneralhome.com. Posted in New Britain Herald, on Wednesday, 5 September 2018 19:47. Updated: Wednesday, 5 September 2018 19:49.